Ban Ki-moon, who serves as Chair of the BFA delivered a welcoming speech at the opening of the Forum. National leaders such as Prime Minister Thongloun Sisoulith of Laos, Prime Minister Lee Nak-yeon of the Republic of Korea, Prime Minister Xavier Bettel of Luxembourg, and Prime Minister Jorge Bom Jesus of Sao Tome as well as representatives from the private sector also gave speeches at the Forum, stressing the importance of the international collaboration on solving global issues. 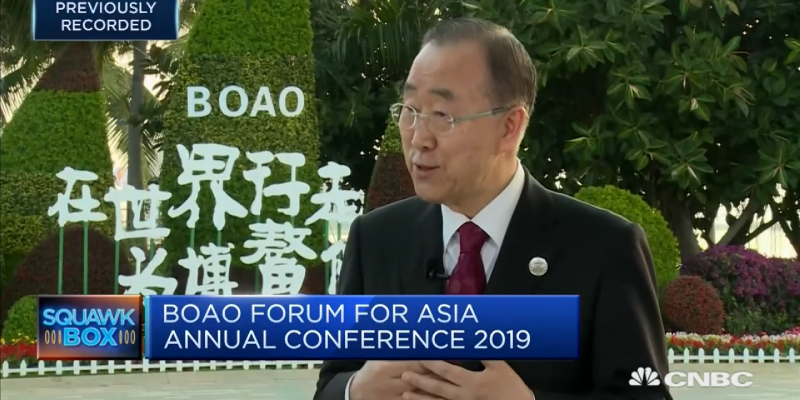 “We need global concerted action; then we have to work for common development in accordance with the Sustainable Development Goals the United Nations has presented to the world,” said Ban at the Forum.